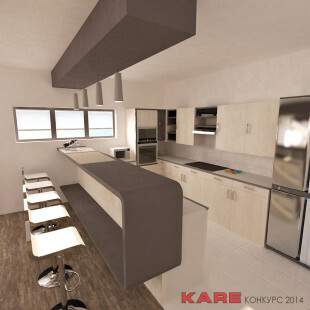 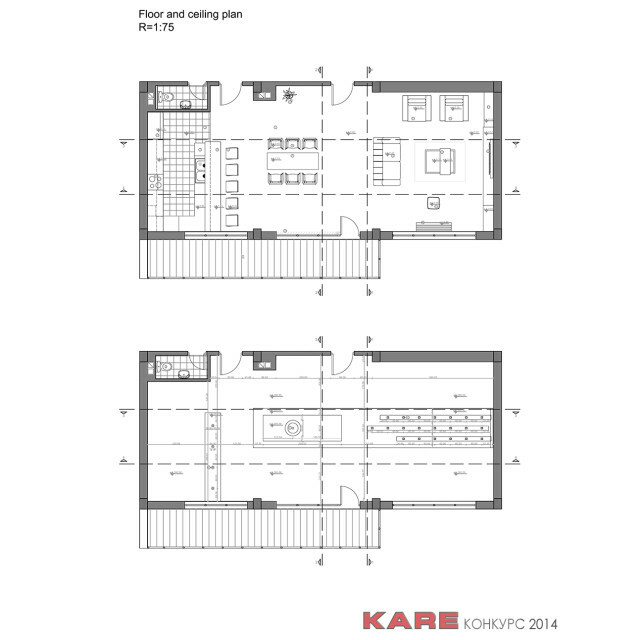 Considering that this is the room of a big area and of simple rectangular form where the living room, dining room and kitchen permeate without clear boundaries, the initial idea was to integrate these pieces of a living space into a single unit by using the appropriate way of decorating and design. The composition of the furniture in the living room, reduced lines and neutral tones, contribute to achieving balance and the concept of the modern decorated living space. The composition of the furniture in the living room, reduced lines and neutral tones, contribute to achieving balance and the concept of the modern decorated living space pleasant for daily activities and rest. 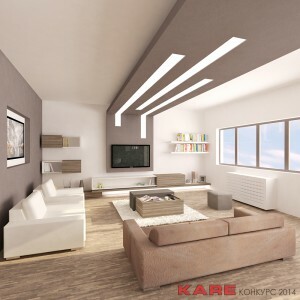 Above the part of the living room and the dining room is ceiling with built-in LED lights, which also contributes to the overall impression of the uniqueness of the area. 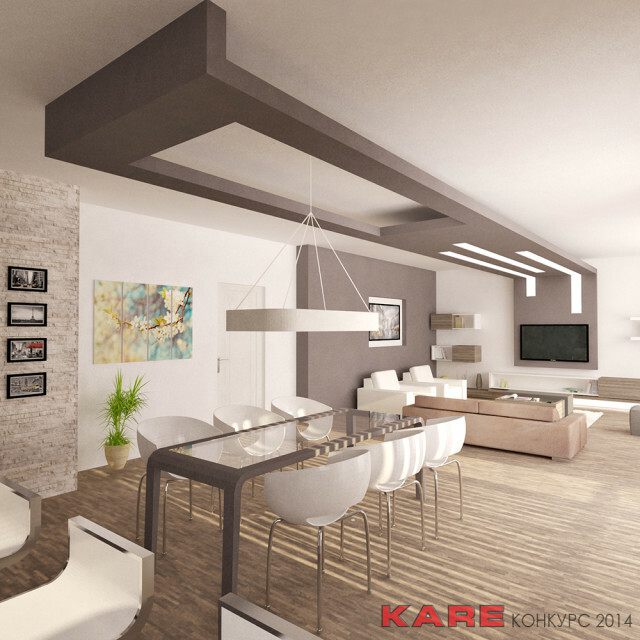 In one part of the living room, the part of the ceiling goes down the transverse wall and at the appropriate height is mounted LCD TV. 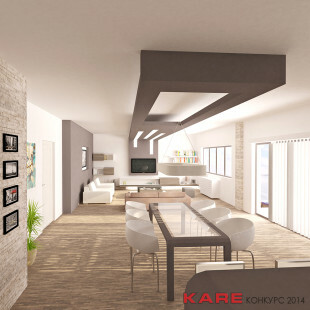 As for colors, in this space dominate calm and balanced tones. 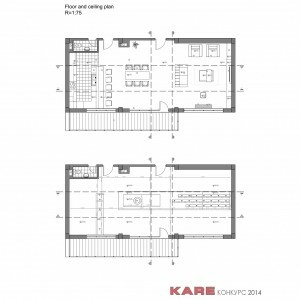 Living area is south facing and has a spacious terrace so that during the day receives a large amount of natural light that makes the atmosphere warmer and more comfortable for living. 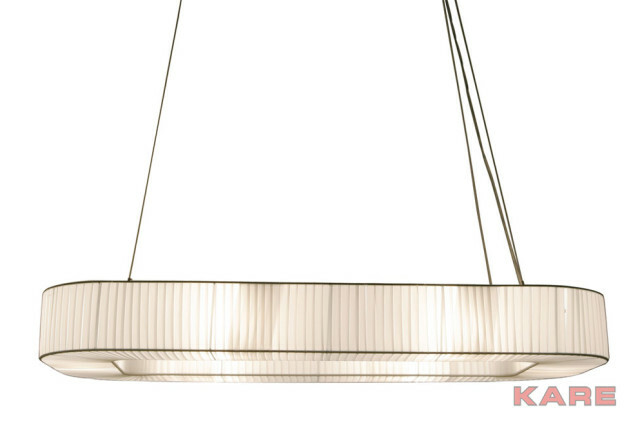 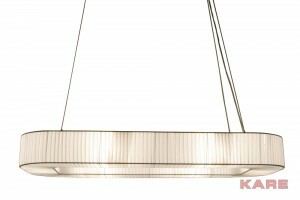 Above the dining table is a hanging lamp (KARE 67149 Hanging Lamp Facile) that follows the shape of the dining table, and the shape of the ceiling also. 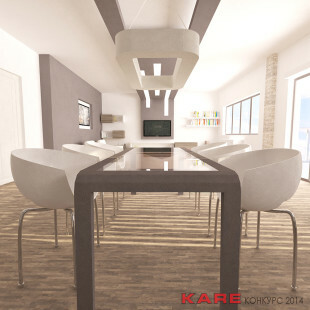 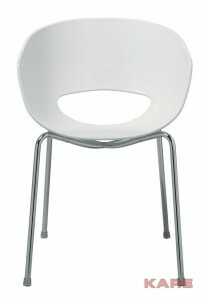 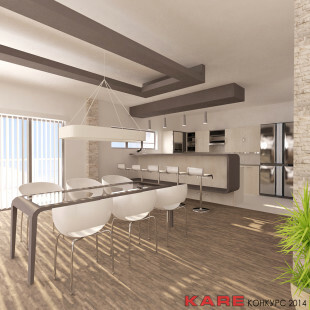 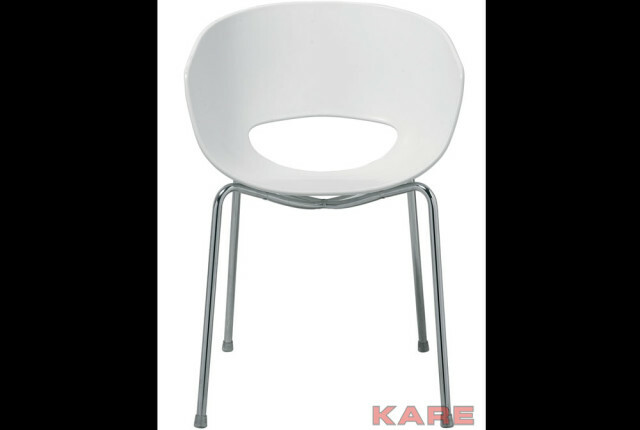 The chairs at the dining table are white and with a simple form (KARE 8921 Chair Eggshell White). 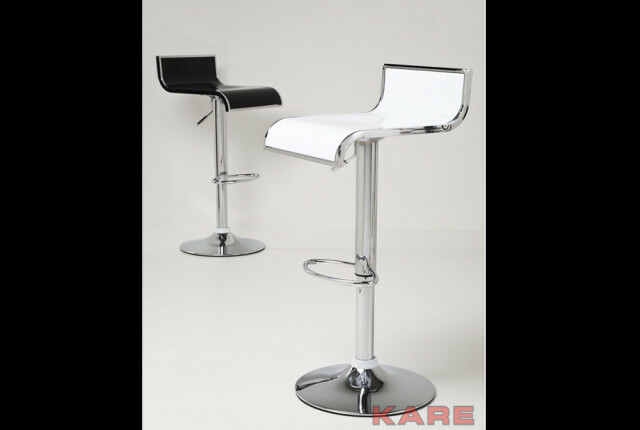 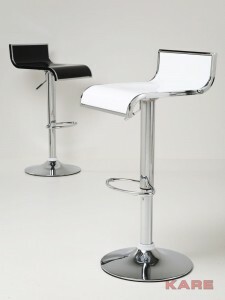 As for the chairs at the bar (KARE 75223 Bar Stool Coffeeshop White), they are also very simple, but at the same time modern, with the similar materials as the one used for the chairs at the dining table. The part of the furniture in the living room is elegant sofa which colour is in correspondence with neutral tones of the space (KARE 20410 Sofa Grandezza 1 brown KARE -Studio-Divani). 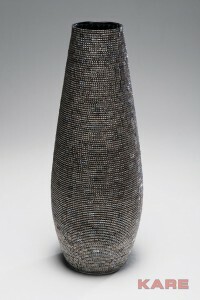 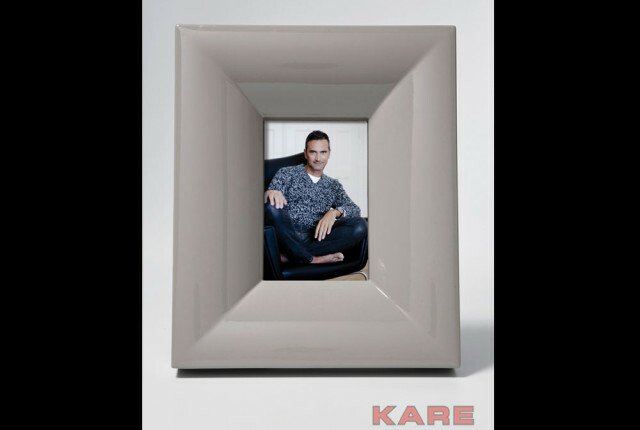 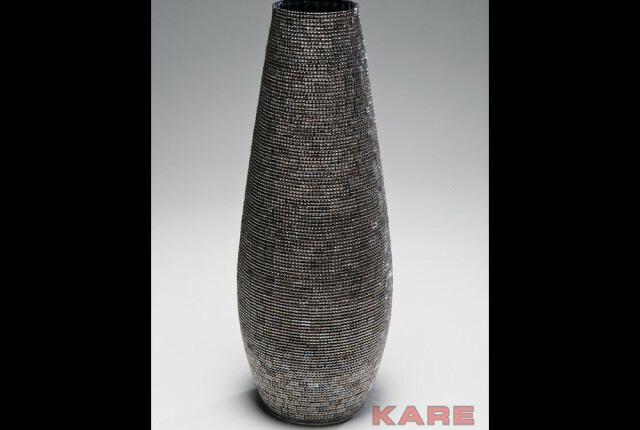 Some of the accessories that I used in decorating the living room space are the elegantly-shaped vase (KARE 33719 Vase Glitter 38cm) and neutral colred frame (OK KARE 31512 Frame Shiny Square Beige 10×15). 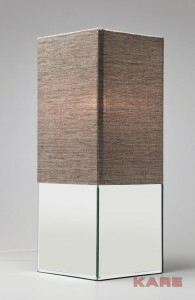 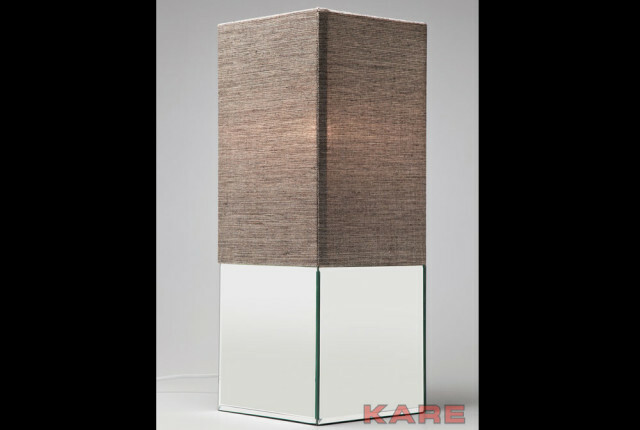 On the shelf is also a table lamp (KARE 34889 Table Lamp Bullion 53cm). 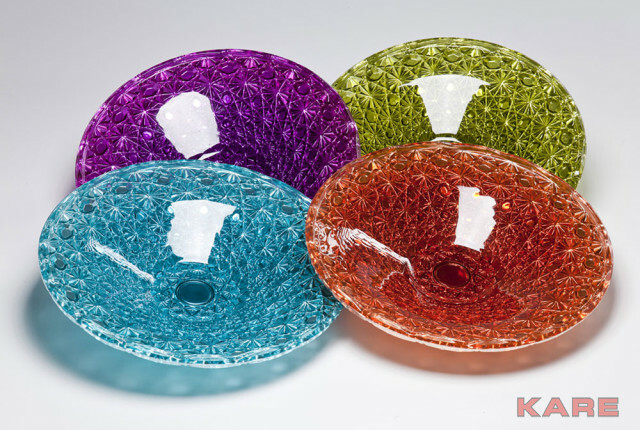 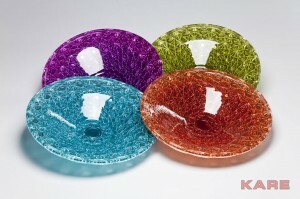 In the kitchen, aas the part of kitchen plates I used colourfull KARE plates (KARE 34929 Bowl Ice Flower Pop 33cm Assorted).